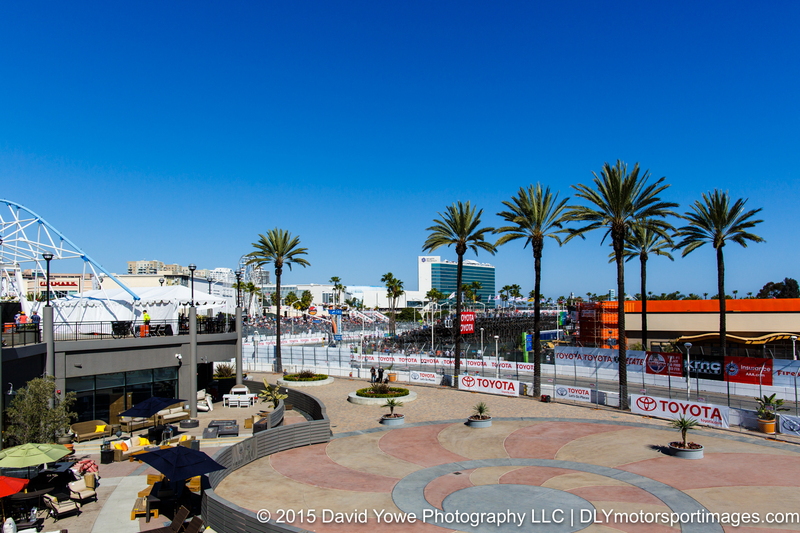 The Tudor United Sports Car Championship (TUSCC) race on the streets of Long Beach was held Saturday afternoon under beautiful sunny skies. 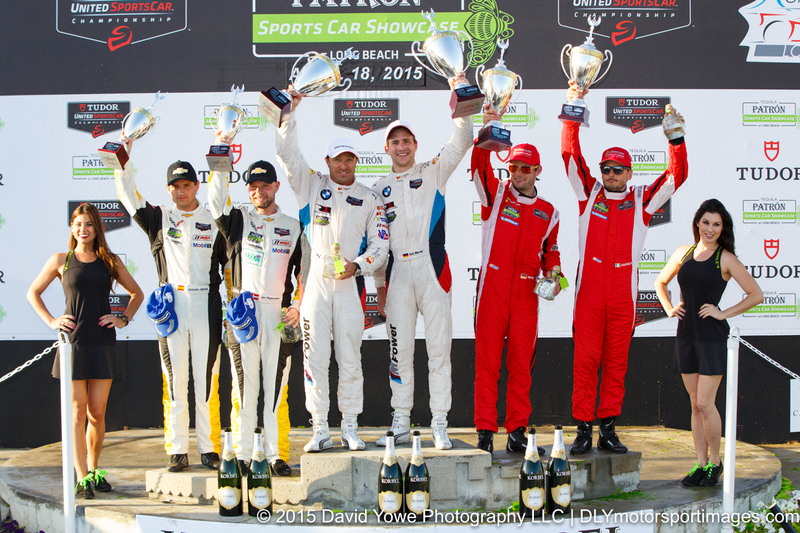 A field of 17 Daytona Prototypes (DP) and GT Le Mans (GTLM) cars raced for just over an hour and a half. 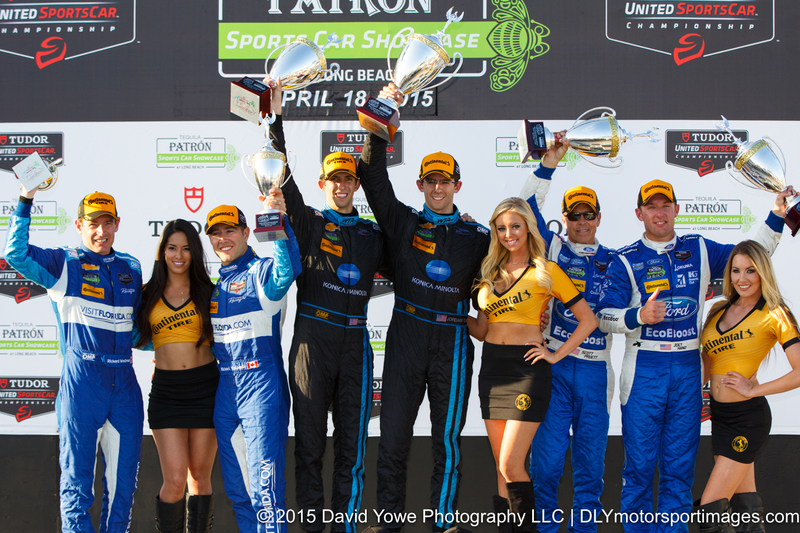 After 78 laps the #10 Wayne Taylor Racing Corvette DP was first overall and the #25 BMW Team RLL BMW Z4 GTE won the GTLM class. Hope you like the photos. Wanted to capture the start of the race from the grandstand that overlooks the outside of Turn 1. 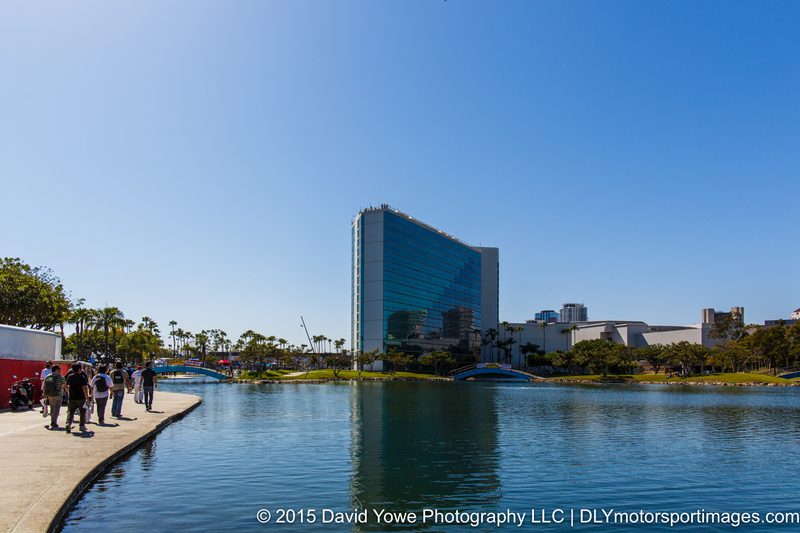 So walked from the media center, along the inside of Shoreline Drive, which is a very picturesque part of the circuit with an artificial lake and the Hyatt Regency Hotel in the background. 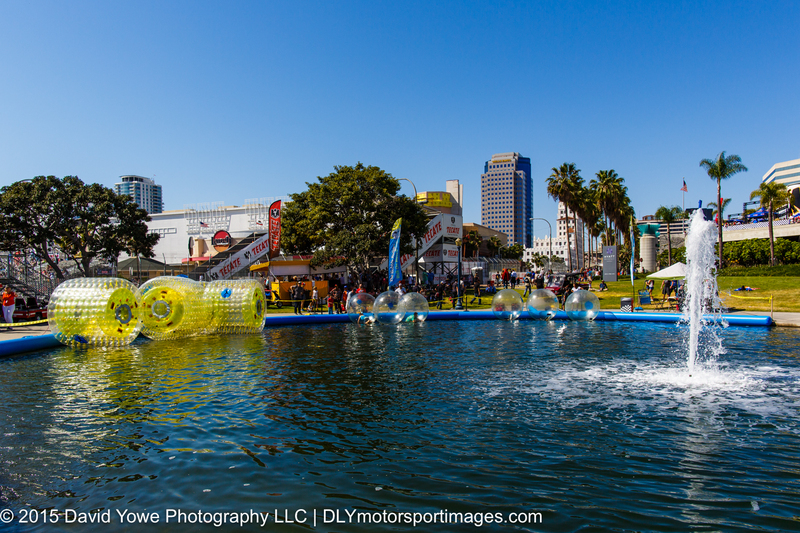 Their was also some cool water activities that looked like a lot of fun. 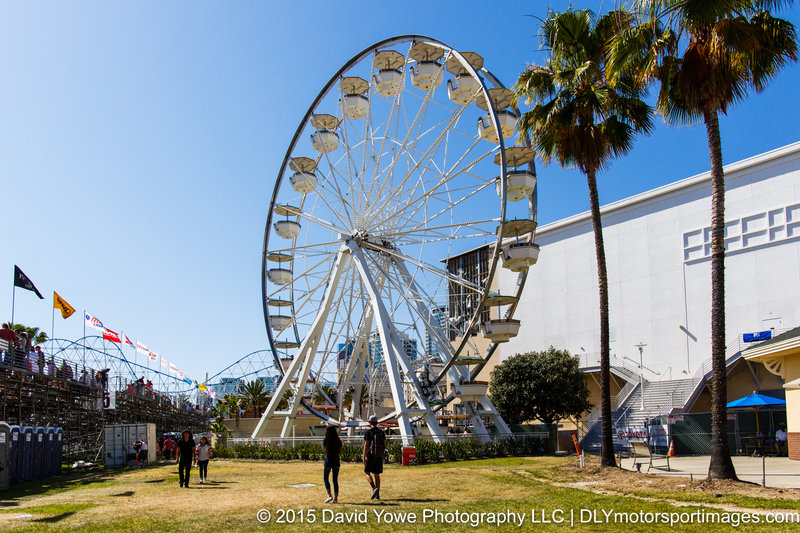 The Ferris Wheel reminded me of Le Mans. Nearly there, with the grandstand on the outside of Turn 1 to the left and behind the grey building. 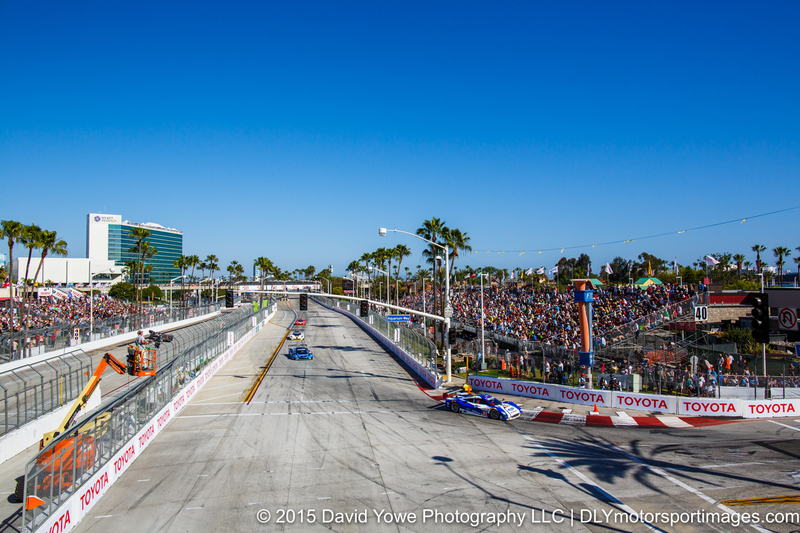 A wide shot of the view from the the grandstand on the outside of Turn 1 during the warm-up lap. 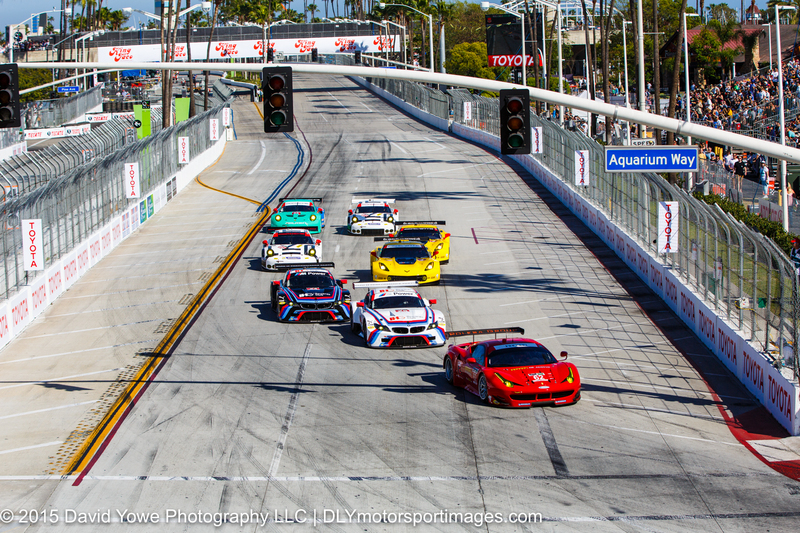 Race start, with #10 Wayne Taylor Racing Corvette DP and Ricky Taylor or Jordan Taylor leading the DP cars into Turn 1. The #62 Risi Competizione Ferrari F458 Italia with Pierre Kaffer or Giancarlo Fisichella leads the GTLM field into Turn 1. 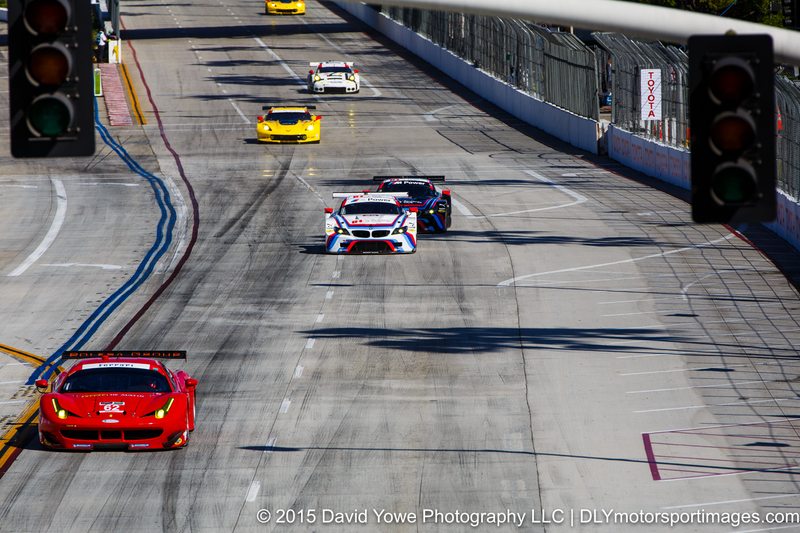 “Traffic lights” with the #62 Risi Competizione Ferrari F458 Italia and Pierre Kaffer or Giancarlo Fisichella. 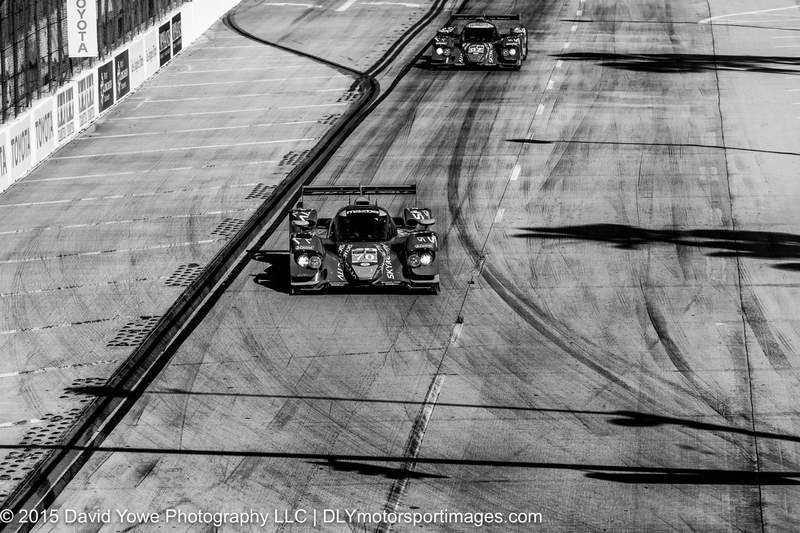 The tire marks on the track looked like charcoal etchings in a painting with the #70 Speedsource Mazda and Tristan Nunez or Jonathan Bomarito and its sister car in the background. 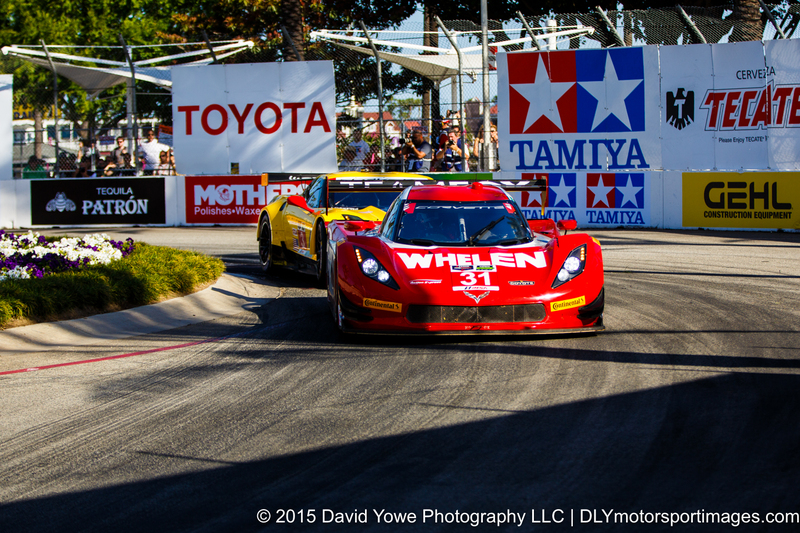 “Slot car” with the #4 Corvette Racing Chevrolet Corvette C7.R and Oliver Gavin or Tommy Milner. 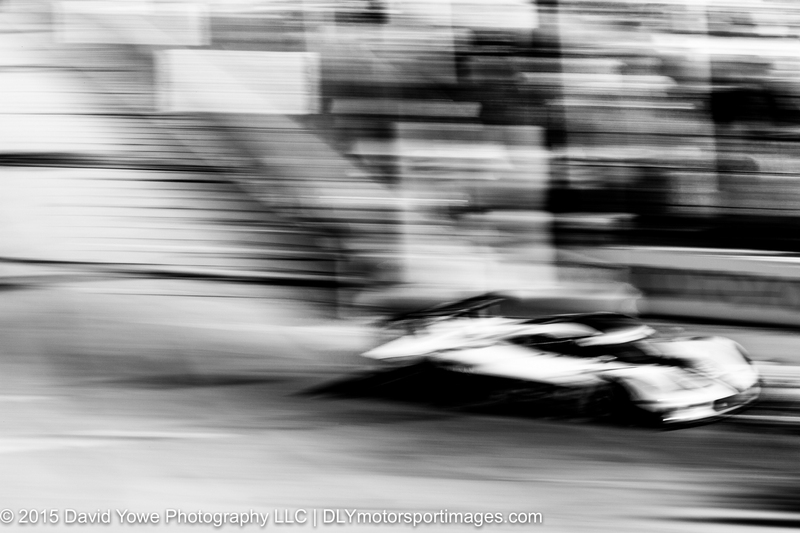 An “artsy” shot with the #5 Action Express Racing Corvette DP and Joao Barbosa or Christian Fittipaldi speeding around Turn 1. 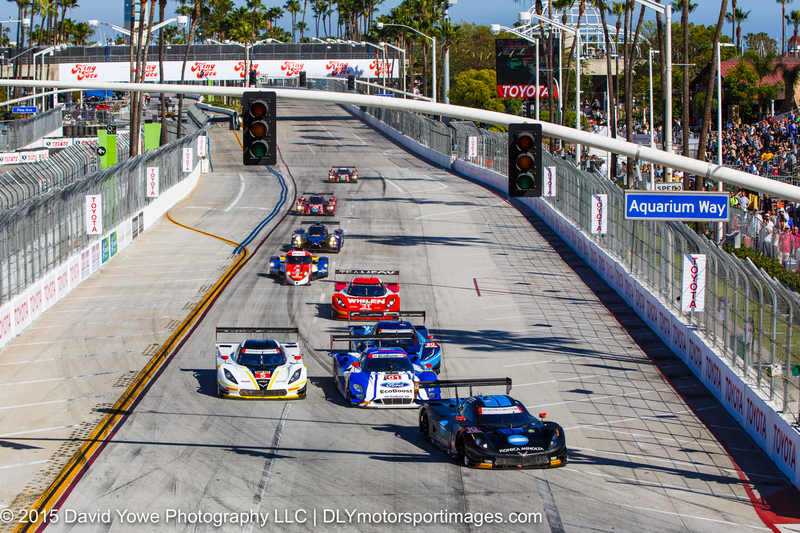 After covering the start at Turn 1, walked over to Turn 7, for a shot of the cars speeding down Pine Avenue into Turn 8. 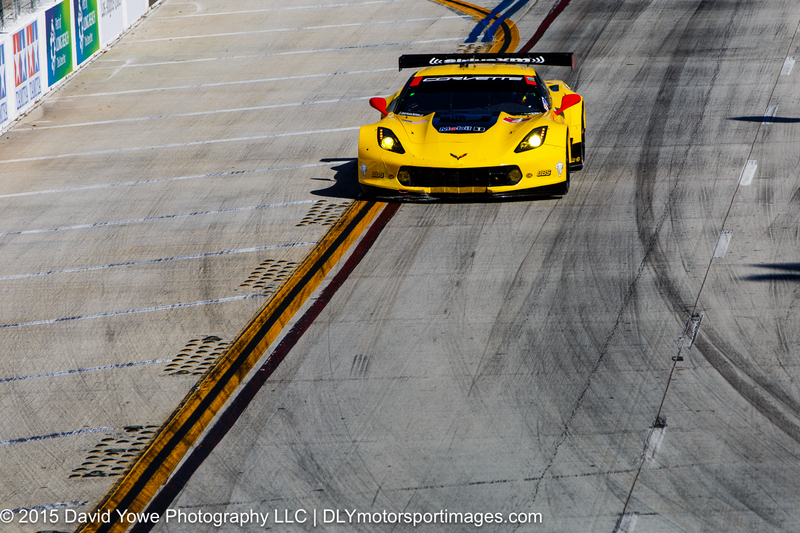 Here’s, the #3 Corvette Racing Chevrolet Corvette C7.R with Jan Magnussen or Antonio Garcia. Spent a short time here, then walked over to the Turn 2 to 3 complex. 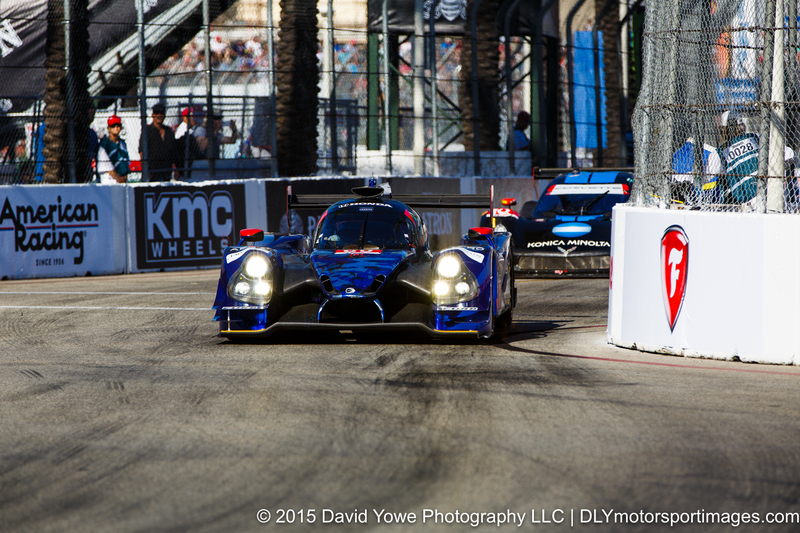 Through Turn 2 with the #60 Michael Shank Racing Ligier JS P2 and John Pew or Oswaldo Negri. 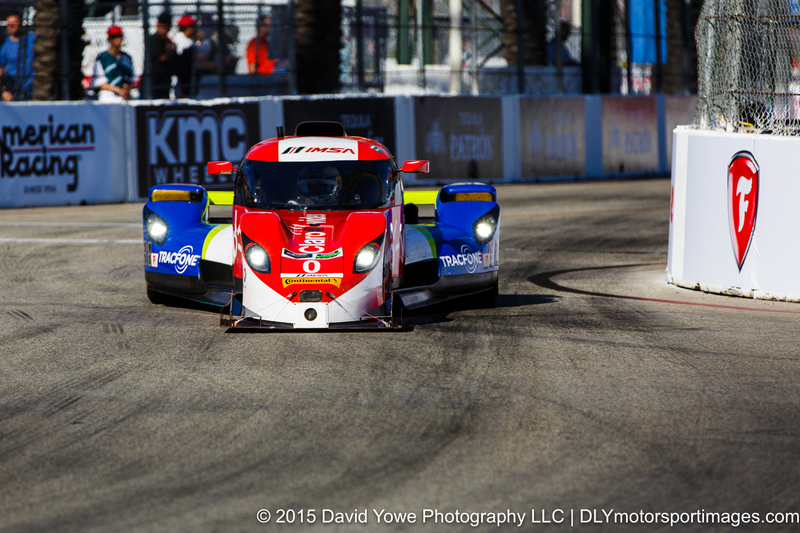 “Head on” with the #0 DeltaWing Racing DeltaWing DWC13 and Memo Rojas or Katherine Legge. 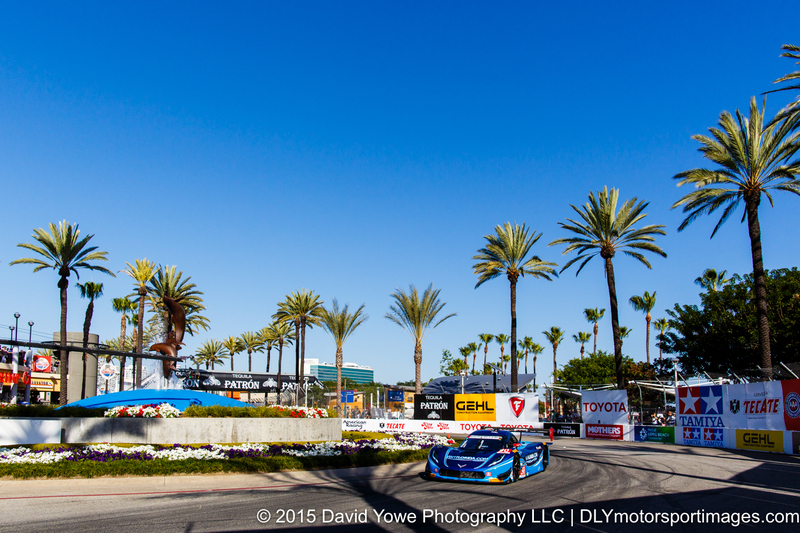 Overall race winner, the #10 Wayne Taylor Racing Corvette DP with Ricky Taylor or Jordan Taylor at Turn 2. 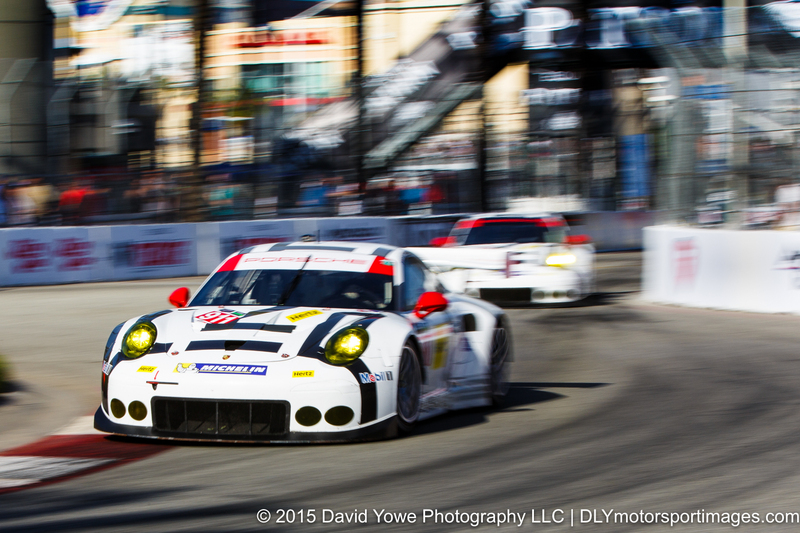 “Porsche, Porsche” with the #911 Porsche North America Porsche 911 RSR and Patrick Pilet or Frédéric Makowiecki leading its sister car through Turn 2. 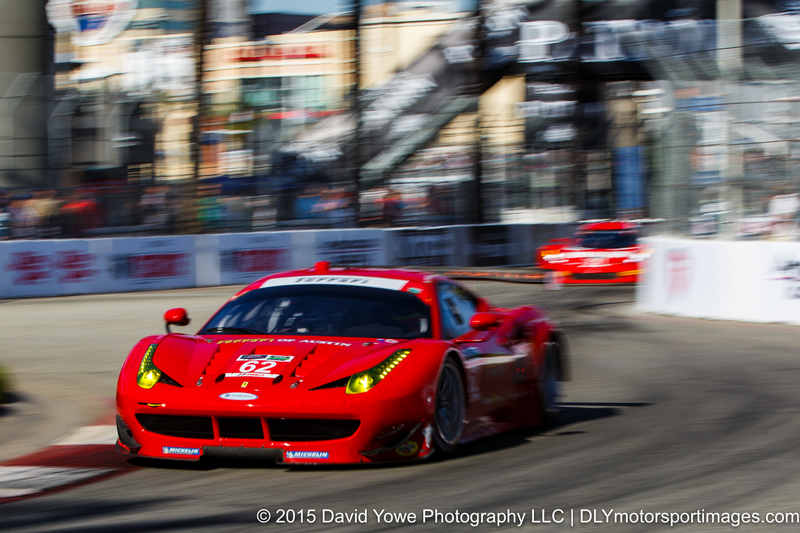 “Red, red” with the #62 Risi Competizione Ferrari F458 Italia and Pierre Kaffer or Giancarlo Fisichella at Turn 2. 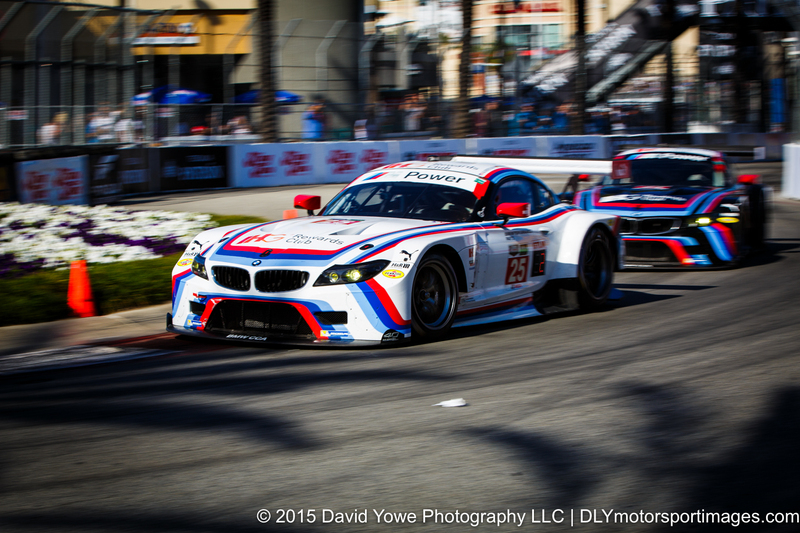 GTLM class winner, the #25 BMW Team RLL BMW Z4 GTE and Bill Auberlen or Dirk Werner at the Turn 2 to 3 complex. 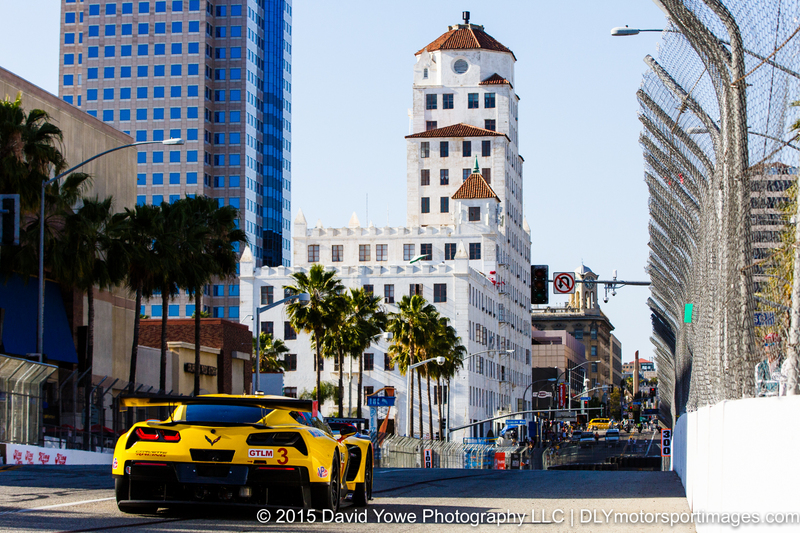 “Palm trees” at the iconic Turn 2 to 3 fountain with the #90 VisitFlorida.com Racing Corvette DP and Richard Westbrook or Michael Valiante. 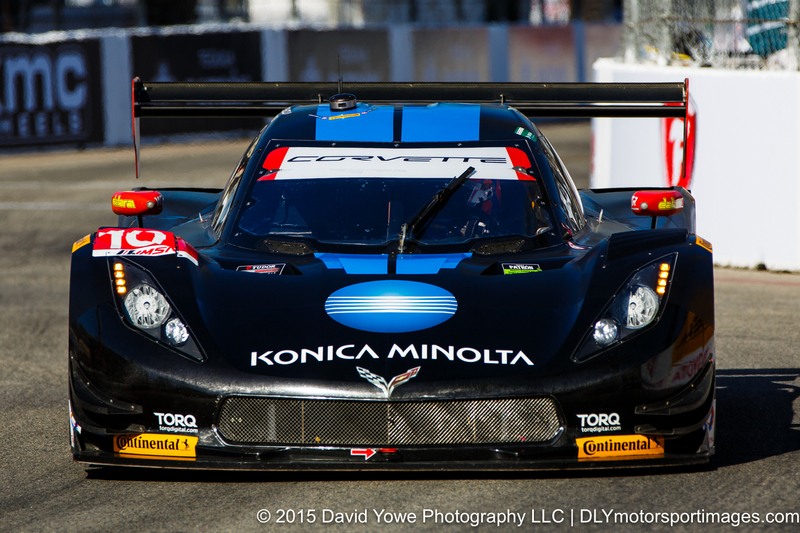 “From light to shadows” with the #31 Action Express Racing Corvette DP and Eric Curran or Dane Cameron. In the podium area was greeted by the lovely Continental Tire promotional girls. 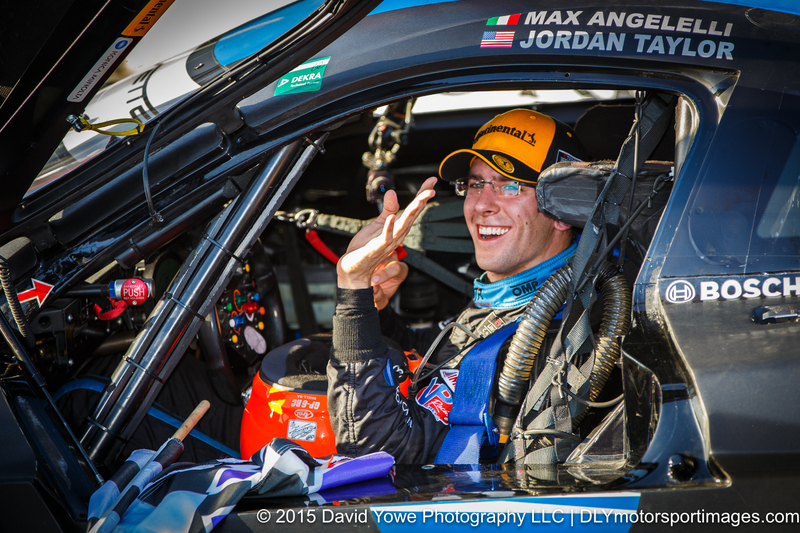 Jordan Taylor in the #10 Wayne Taylor Racing Corvette DP celebrates his race win. 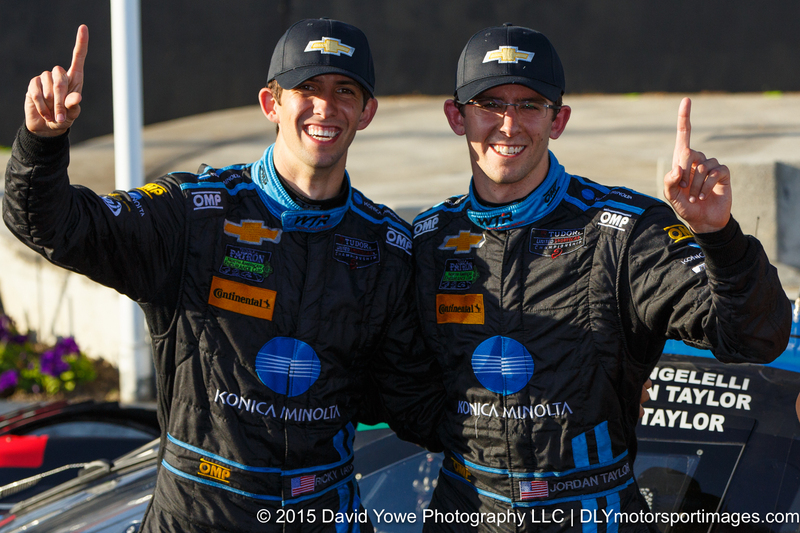 “Number one” with Ricky and Jordan Taylor and the #10 Wayne Taylor Racing Corvette DP. 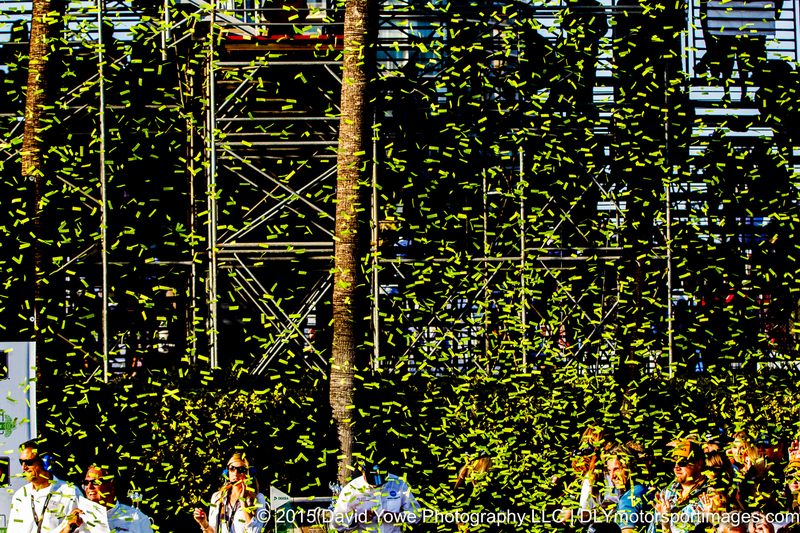 “Confetti” during the podium celebrations. 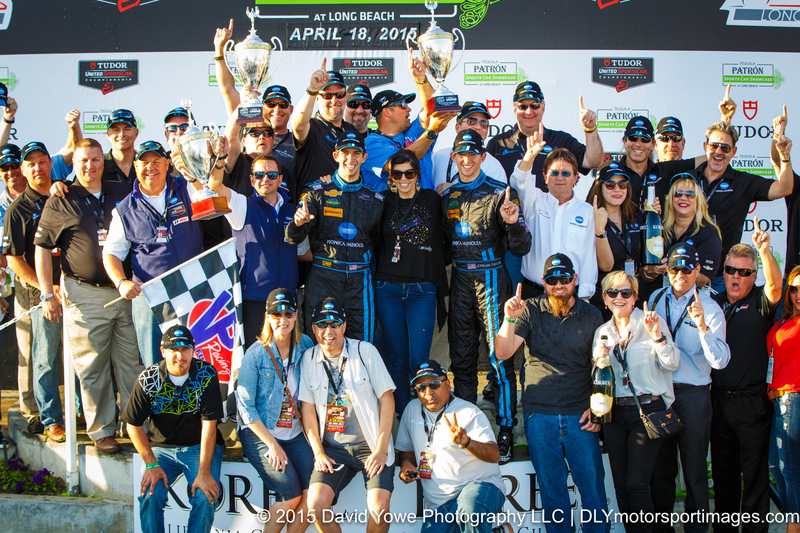 Wayne Taylor Racing celebrating there race win.